Earlier, I’ve said I don’t recommend cutting up your foam topper to make a bed for your baby. I should say, it is possible technically. But I would advise against it, and not just because of warranty issues. After all, I wouldn’t recommend cutting an old topper for a baby bed either. I have three kids myself, so, as you can guess, I realize just how much responsibility lies on a parent to provide their kids with best. Even more so when they are so young. This is why I don’t recommend making a bed yourself. First, I daresay you want the very best for your child rather than some hand-me-downs of bedding kind. Second, it might not be safe for their health. When it comes to infants and toddlers, health and safety outrank comfort by a large margin. I wouldn’t mind enjoying a nice Chinese bed, one that may be not so chemicals-free, but I would never let my children sleep in it. I am not trying to say your children should not sleep comfortable. After all, lack of comfort is responsible for health conditions. I’m just saying that when you have to choose, choose safety. Not that I’m going to recommend any non-safe mattresses. But remember, your children’s health must be your first priority. It will be no good if you get a crib mattress that will cause some issues. No matters if it’s safe and comfortable. Even if it is not dangerous at all, there are allergies to consider. 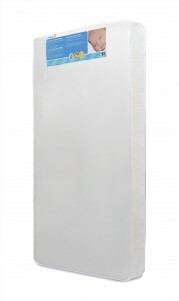 Make sure to get the best crib sheets for your crib mattress. Now, infants and toddlers are yet to develop any kind of back problems. That doesn’t mean you can ignore any supportive qualities in the mattress you buy. A good mattress can prevent those problems from ever arising. One thing you need to know, a thing you may very well know already, is that crib mattresses are firmer than usual by design. How firm exactly depends on the product. But they are firmer. Firm is good. I am not a doctor by any margin, so whatever things I say about what is good for infants and what is not are not my expert opinion. I am proud I know quite a bit about mattresses and how they influence health, but a doctor, I am not. But it is not just me who says it. The experts from the American Academy of Pediatrics are very clear about the subject. 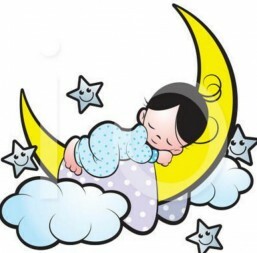 A firm mattress lessens the chance of Sudden Infant Death Syndrome. Please note that co-sleeping is dangerous as well. But the thing is, a very firm mattress may be good for your baby’s health only as long as they actually can sleep on it. A crib mattress can be too firm. Good for health, bad for sleep. 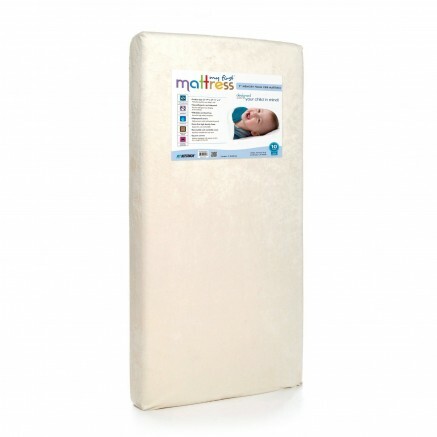 Ideally, you should already know what kind of mattress would be good for your baby. Alas, that is so often not the case. It is not really a long-term purchase, children grow up fast. Because of that uncertainty, it is better to err on the side of caution, and if that won’t work, get something to cushion the surface of the mattress. The mattress should fit the crib tightly. As per the requirements of standard 16 CFR 1509.9, no gap can be more than half an inch no matter what and no more than an inch when pressed against the perimeter of the crib. Personally, I think there should be no gaps whatsoever. Remember, gaps between the crib and the mattress are a safety concern. You don’t want your baby’s hand or foot trapped there. This is not something you can neglect. Do measure the crib before ordering a mattress, and look up the mattress’s dimensions on the site. They have to match. Do not confuse inches and centimeters; when converting, be precise. And, of course, keep in mind that products designed in the Imperial system and the metric system aren’t likely to match each other’s dimensions very well. 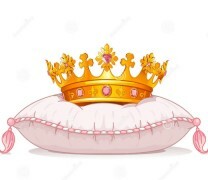 If you have been delivered the mattress but it doesn’t fit the crib, you should better return it and get a replacement. The mattress is firm. However, some individual mattresses seem to be soft. Not quite soft enough to be called a bad bed, but enough not to be considered firm. 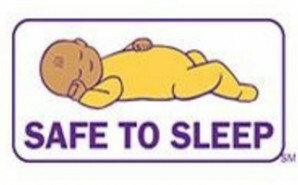 I would only recommend it for a baby if the baby cannot sleep on a different surface, had those mattresses not been obviously the odd ones. I’m not sure if it’s right to call it a defect. Obviously, an infant needs a firm surface, but not every infant does, even if most do. Besides, a soft surface is good and comfy for toddlers. However, the firmness rate seems to be a bit inconsistent. It may be due the mattress being hand sewn, as the manufacturer claims. In that case, such irregularities are bound to happen from time to time. When ordering the mattress on Amazon.com, do take that into account and, once the mattress arrives, do make sure you got what you wanted. 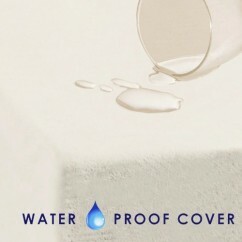 The mattress comes with a Perma-Dri waterproof cover. 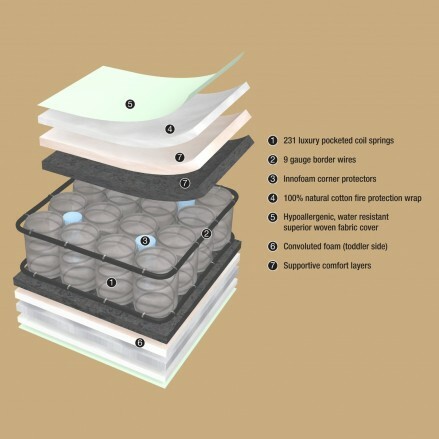 The surface of the mattress is non-allergic it is easy to clean. You only need a damp cloth. 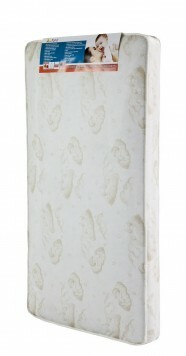 An innerspring mattress for little ones. It has a hundred and fifty heavy gauge coils for firmness specifically and some high-density polyurethane cushioning. Because of the foam, it is a bit soft. It’s okay if your baby cannot sleep on a firmer surface, such things do happen, but I personally think this mattress is better suited for toddlers, who no longer are at risk of SIDS. You know your child’s needs better than I do in either case, so the choice is yours. After all, sometimes parents have to return their firm crib mattress and replace it with a softer one. This one would be a good replacement for those. By the way, if you believe the old crib mattress it too firm for your baby, you can get this one instead on Amazon.com right now. That is not to say the mattress is soft. It is quite firm in fact, it’s just that it’s softish. There are crib mattresses much softer than this. I wouldn’t give the softness issue a second thought if we were talking about a mattress for grown-ups, but with children, you can never be too careful. It is still suitable for infants. But, in my opinion, this bed should be meant for toddlers first. After all, the mattress does fit toddler bedframes. However, it cannot handle too much weight. 40 lbs seems to be the practical limit. But it’s worse if your toddler likes to jump on it. The mattress would not survive that for long. This crib mattress has two purposes. 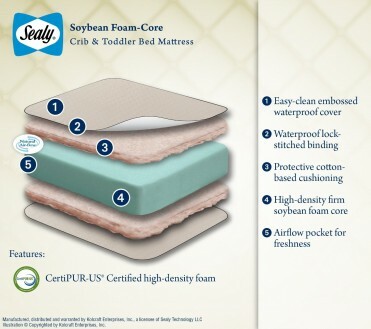 It is a mattress for infants, who need firmness, and for toddlers, who don’t need the firmness any longer but would enjoy a good comfy mattress. How does it work? You probably know the answer, but in case you’re a first-time parent, the front side of the mattress is for infants and the flip side is for toddlers. That’s very economical since you don’t have to buy another mattress when your child grows up a bit. You can also flip it prematurely if it turns out that your infant cannot sleep on the firm surface. If that sounds interesting to you, check its status on Amazon.com. This is a spring mattress, and it has 231 spring coils. 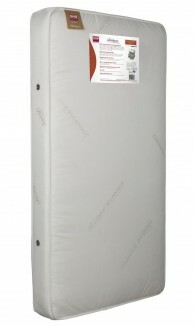 The mattress also has reinforced border protection as well as corner protectors. 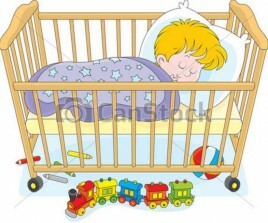 Due to the protection, the mattress fits tightly into the crib provided the crib is the proper size. Because of that, however, it is possible to damage it when getting it out of the crib for cleaning. Remember, the mattress is not a foam one, it is quite heavy! 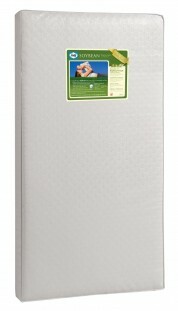 This is a foam crib mattress, but no worrying, the foam, while not memory foam, isn’t just not soft, it is ultra-dense. Meaning, it’s firm. Just right for babies. 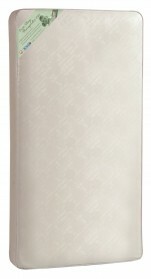 CertiPUR-US and CREENGUARD Gold certified, the mattress can handle up to 65 pounds. That’s quite a lot when it comes to infants and toddlers. And if your child is a jumper, you don’t have to worry about that any longer. The foam is not bouncy, unlike even the hardest springs. The foam contains soy. In theory, this makes it an organic mattress, but the foam is not 100% soy. If that’s important to you, get some other type of mattress. I can’t imagine 100% organic foam unless it’s latex. Either way, the process of making a foam of non-elastic materials involves chemical transformations and would either require actual elastic materials or render any organic materials not so organic. 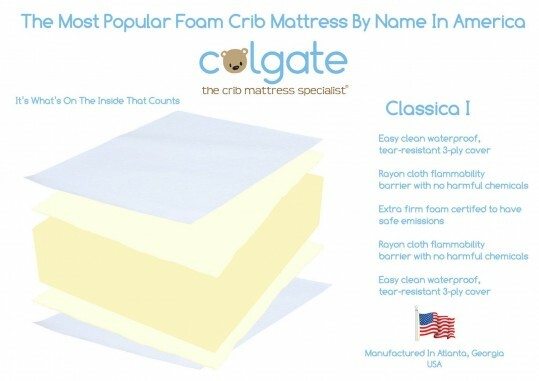 If you want organic, look up a latex or a cotton crib mattress. But if you’re content with the foam being certificated for safety, you can read the 380+ reviews on Amazon.com right now and then buy it. 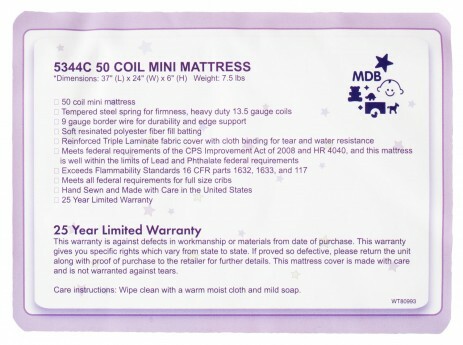 Another dual-purpose mattress fit both for infants and toddlers. However, I would recommend buying it for toddlers first. Despite the fact the mattress is considered firm, it is far from the firmest mattress for babies I’ve seen. It may be good for some, it would be a good replacement of a mattress that you’ve found too firm for your baby’s liking, but as a first choice? Not so much. But, still, the mattress is great. It’s great for toddlers, and if your baby needs a softer surface (but you have to know that for sure), for it works for babies too. The downside is that it is rather squeaky. It might even wake your children up when they turn. But as long as you know that won’t be a problem (or have a way to counter it) this is very good purchase. Get it on Amazon.com today. Another Dream On Me mattress but this one is not exactly made for a crib. 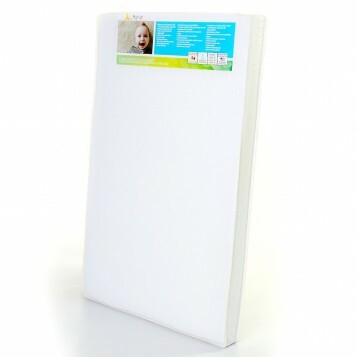 It is a pack’n‘play mattress instead, and it’s quite comfortable for children to play in. Why is mentioned in this list, then? It is as good as a crib mattress, that’s why. Generally, pack’n‘play mattresses are worse than crib ones. Not this one. If you were wondering if it’s okay to let your child sleep there, well, it is with this mattress. Aside from the springs, this mattress also has some foam, which makes it a bit soft. Granted, I’m being generous calling it soft, but that’s since it is meant for little children, that’s how this should be. Nevertheless, some may find it a bit too firm, while others a bit too soft. Personally, I think it is the perfect average as far as suitable mattresses for babies go. It is firm, just enough to be good for a baby, but it is soft still. 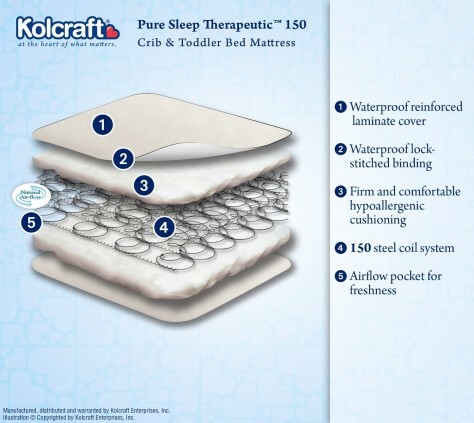 As with all softer mattresses, it should be very good for toddlers. 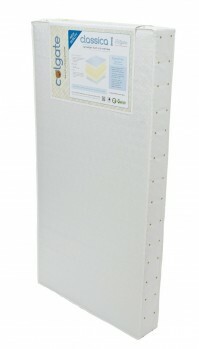 If you already have a crib mattress but would like to obtain a pack’n‘play with it as well, visit Amazon.com and do just that. A memory foam mattress this time. Now, as we all know, new memory foam emits a strong chemical smell. So it does in this case. 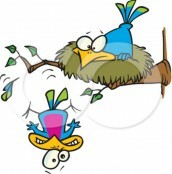 It’s a major drawback of any memory foam mattress, more so when infants are involved. I recommend you to order this mattress on Amazon.com long before you actually need it. The mattress is CertiPUR-US certified, so it is safe. But while it may be safe, it by no means can be considered organic. Do not even consider buying this if you prefer natural organic materials. Either way, once you order it, let it air out. Harmless it may be, it still has a strong smell. 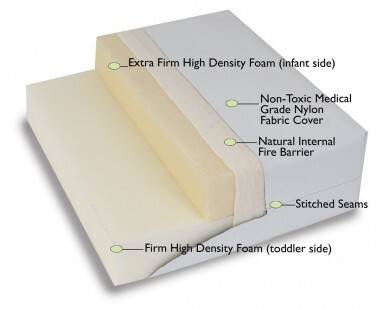 Memory foam varies in density. The denser a mattress is, the more firmness it can provide. That’s what we need from it. A regular firm mattress can be uncomfortable. Memory foam is the solution to the problem of balance between heath and comfort. It is firm by nature, but it is also comfortable. It molds to the baby’s body, staying firm but taking the body’s shape. If I only could tell you one thing about this mattress, I would use one word for it, too. This is a perfectly firm mattress. Some even consider the firmness the downside, since it really is very firm, but that’s what makes it so safe for babies. Still, while firmness is usually good, this mattress may be considered too firm. It is possible that a baby would fail to fall asleep on it. But the mattress does lower the risk for SIDS considerably. Besides, I’m not trying to say that it would be too hard for any baby, just for some of them. Many would find it quite comfortable. After all, a crib mattress is supposed to be hard, and for a baby to find one too hard is an oddity. 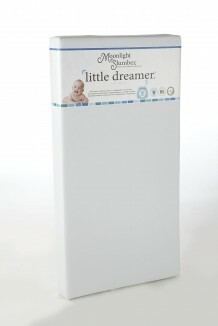 This is a mattress you want for your infant, and you can order it on Amazon.com right now. If you are not convinced, then, perhaps, I shouldn’t keep telling you about just this one thing. The mattress is waterproof, of course, and it has eyelet vents to prevent overheating and any kind of discomfort related to heat. It is non-allergic, which is rather important in my humble opinion, and tear-resistant. Quite a number of otherwise good mattresses are easy to tear, but this one is not. And it is also easy to clean. This is a firm mattress, but it is also double-sided. While one side is indeed firm, the other one is meant for toddlers and is softer. So, as you can guess, it is fit booth fort toddlers and infants. You decide when it should be flipped over. But know this, with it, you don’t need to buy two mattresses instead of just one, this one. A known issue with this mattress is that it may fail to fit the crib. Not the least thing you want, but not something particularly good either. Make sure their sizes match before you order it on Amazon.com. If the sizes mismatch, it’s better to return either the crib or the mattress and get a new one. The mattress is made of plant-based foam and springs, and it is hypoallergenic. I give this mattress the 1st place. This mattress is cheap. I know that price doesn’t mean much when we’re talking about babies’ health and comfort, but while cheap, the mattress is also very good. It is firm, and it is hypoallergenic. It is also quite durable. There are no springs in the mattress, so your baby would not ever be tempted to jump in it. A good thing, too. And, as you may have guessed, the mattress is double-purpose. So if your baby finds the infant side too firm, you can always flip it over to fix that. That would work with any double-sided mattress, I believe. 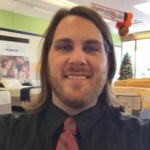 Check out what two thousand other people have to say about the mattress on Amazon.com. Most good crib mattresses are not made of natural materials. That is no coincidence since it’s hard to pick a natural material that would be both firm and good for support. Aside from lowering the SIDS risk, a good crib mattress would prevent the incorrect development of the infant’s bones. After all, they are softer than those of adults and even older children. Despite that, there are crib mattresses that fit that parameter and whose materials are wholly natural. Do note I’m not saying “organic”. You must understand organic does not mean necessarily good. We’re surrounded by inorganic materials, and, what’s more important, I don’t just mean us, people of today, but us, as in human race. The stone, the metal, everything that is not and has never been living. And yet we, as a species, strive and prosper. The problem with most organic products is that those materials, organic or not, are not necessarily the natural. Technically, PVC is organic. And springs are made of metal. Anyway, since there are more cribs made of not quite natural material than the other around, it is only natural that there are more good ones among them. I’m leaving the comment here because I don’t really know where else I should do it, short of writing to you directly… And I’m not sure how to go around that. Anyways, let me get straight to the point. I hope you don’t mind if I do. I have two little kids, and since we don’t really have too much space available, we’ve got a used bunk bed for both them. The thing is, we need mattresses now, and I’m not sure what kind of mattress would be best for them. I’ve tried googling already but I didn’t get anything useful so far. Could you please help us with this problem?